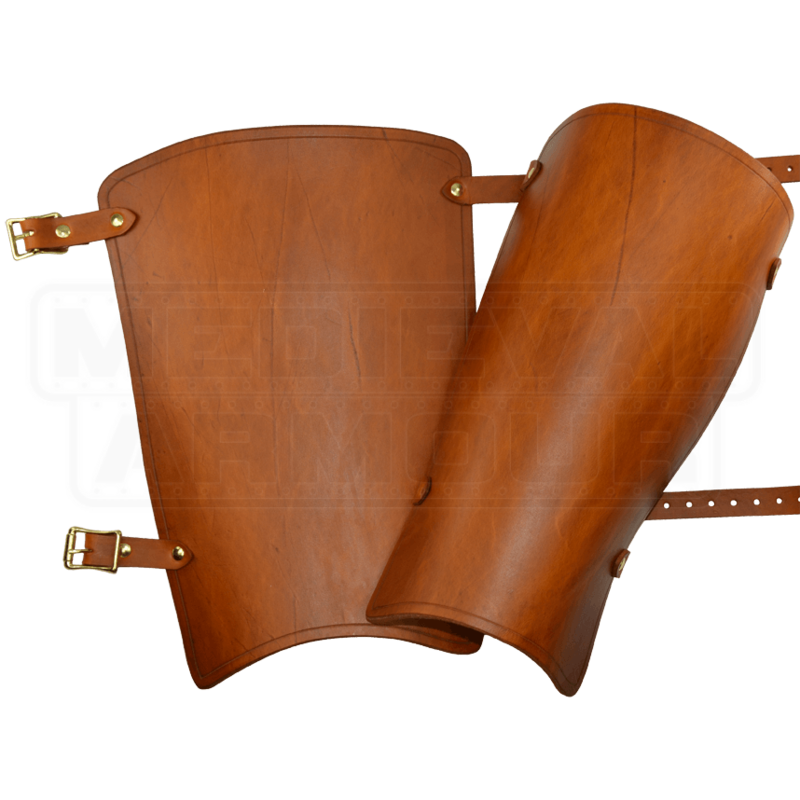 If you want protection, without extra weight, then you need to consider our Simple Leather Greaves. Hand-crafted from thick, armor-grade 13/15 oz. leather, these greaves will not disappoint. They provide more than adequate protection to your lower legs, and they do so at a lesser weight than most metal greaves can offer. They are easy to don and remove. They secure in place via a pair of leather straps and buckles, one across the top and one across the bottom of the greave. 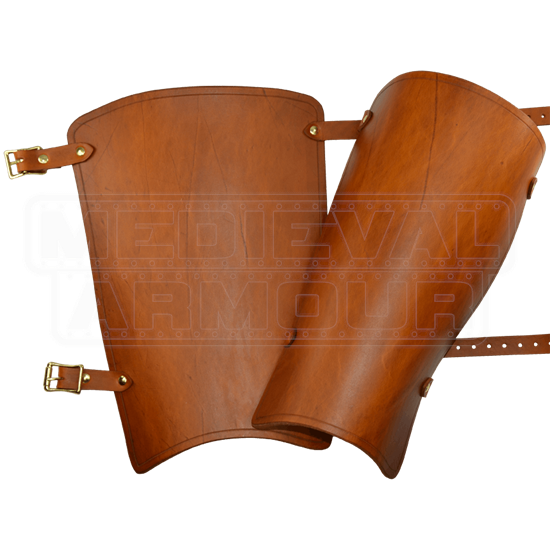 These greaves are otherwise plain in appearance, although their simple appearance in no way detracts from how great they function. If anything, their plain appearance leaves them up to personal customization. So if you find that steel armor weights your legs down too much, or if you just need a pair of really awesome leather greaves, then you have found them in the Simple Leather Greaves right here.